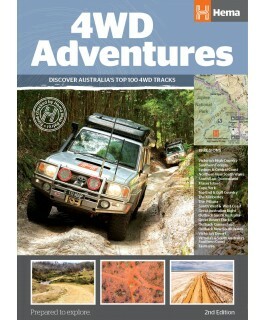 4WD Adventures – 2ndEdition Discover Australia’s Top 100 4WD tracks using this guide as your ultimate off-road adventure tool. 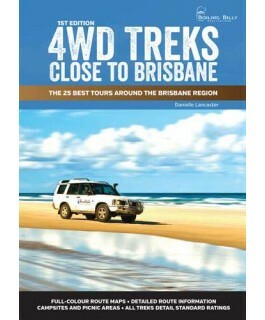 Each page features colourful, glossy imagery and detailed tracks personally mapped out and driven by the Hema Map Patr..
With 25 4WD treks within the region surrounding Brisbane, this guide is your passport to some of the best: Picnic areas Walking trails Camping areas Swimming and fishing .. 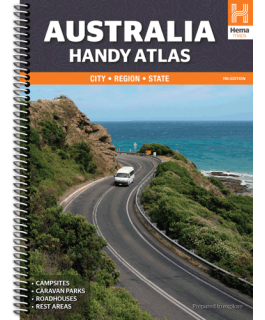 The Australia Handy Atlas is the ultimate resource for exploring Australia, featuring comprehensive Hema mapping that’s filled with relevant touring information. 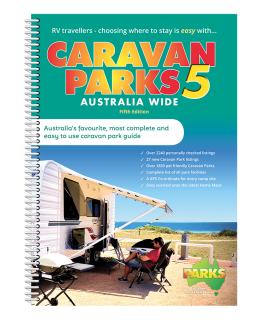 ​Pinpointed on the mapping are caravan parks, camping and rest areas, 24-hour fuel, roa..
A country map of Australia that includes city maps on the reverse for compact travel use. 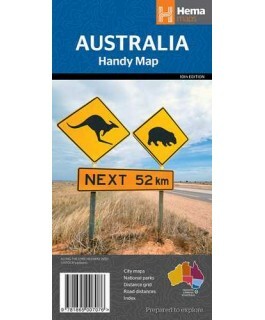 Ideal reference map and trip planning tool City maps National parks Distance grid Road distances..
A large map of Australia that includes CBD and through road maps for each state or territory’s capital city, making it ideal as a trip planning tool and travel companion. 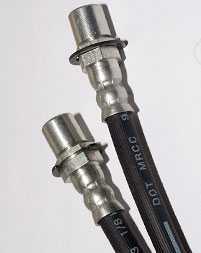 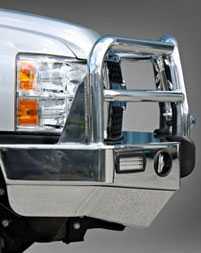 Major road networks Outback fuel, distances and major national parks ma.. 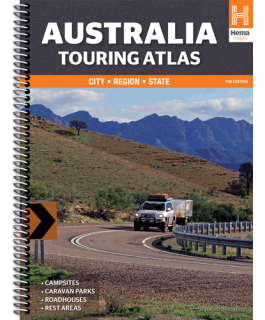 The Australia Road & 4WD Atlas is the ultimate resource for exploring Australia, featuring comprehensive Hema mapping that’s filled with relevant touring information. 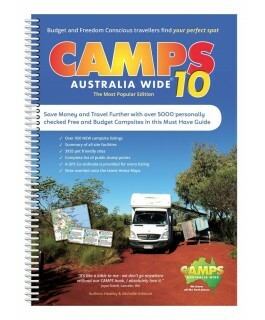 Pinpointed on the mapping are caravan parks, camping and rest areas, 24-hour f.. 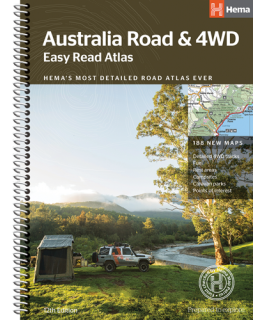 Featuring trusted Hema mapping for all of Australia, the Hema Road & 4WD Easy Read Atlas is the definitive travel guide for tourers and adventurers. 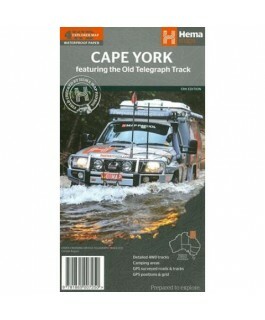 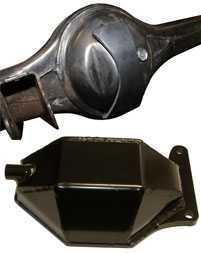 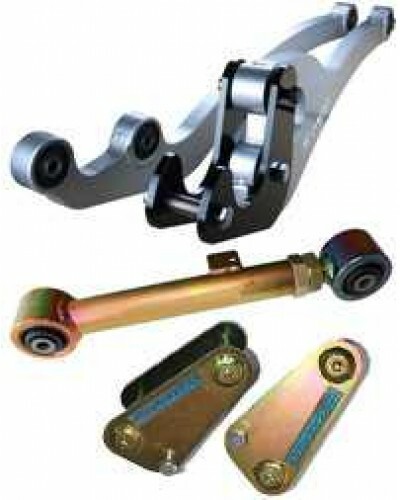 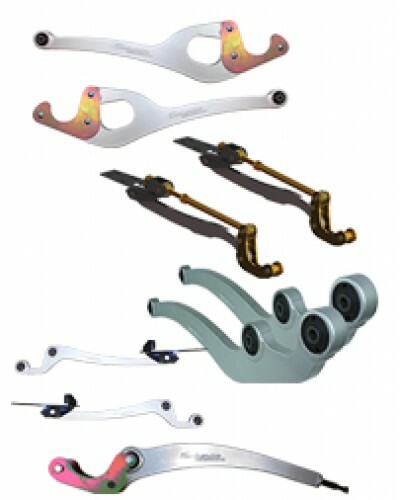 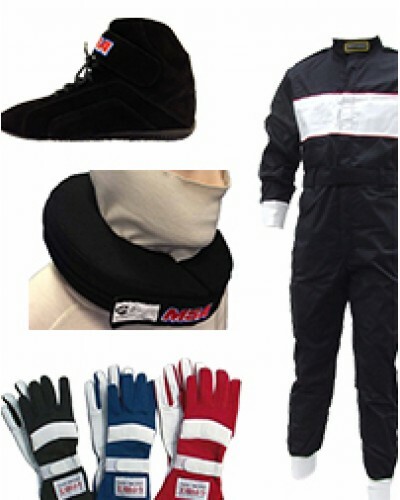 Hema atlases feature more information useful to travellers, including 4WD tracks, campsites, cara.. 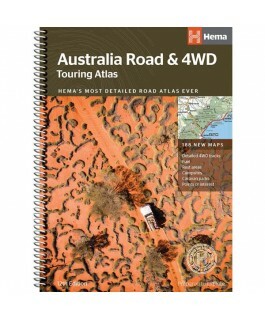 Featuring trusted Hema mapping for all of Australia, the Hema Road & 4WD Touring Atlas is the definitive travel guide for tourers and adventurers. 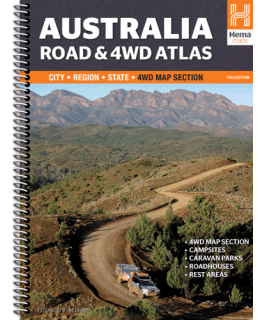 Hema atlases feature more information useful to travellers, including 4WD tracks, campsites, carava..
A large map of Australia with the country’s major road networks shown, along with Outback fuel, distances and major national parks. 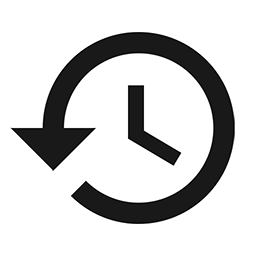 Climate zones are coloured to easily show the variances in temperature and rainfall across the country. 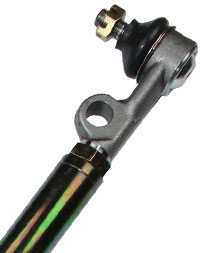 ​On the reve.. 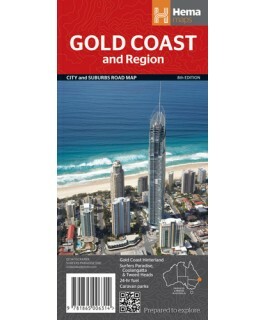 The Australia Touring Atlas contains comprehensive atlas mapping and detailed city maps to equip travellers who want to explore Australia. 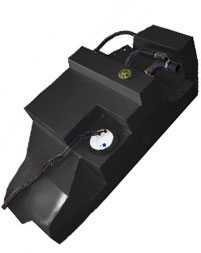 Pinpointed on the atlas mapping are camping and rest areas, caravan parks, 24-hour fuel, roadhouses, overnight .. 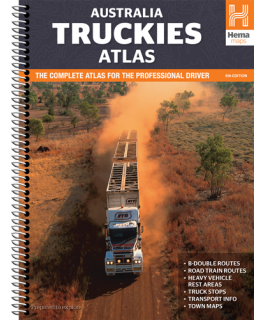 The Australia Truckies Atlas is tailored to the professional driver, with a complete Hema Road Atlas combining with necessary truck-related features to help drivers navigate all over Australia. 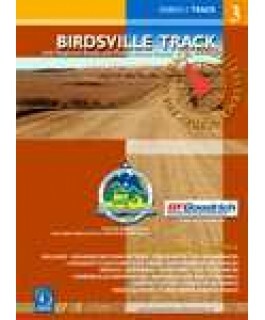 Marked on the maps are B-Double and road train routes as..
Mapping of the Birdsville Track is broken into stripmaps that are designed for traversing the tracks in the area. 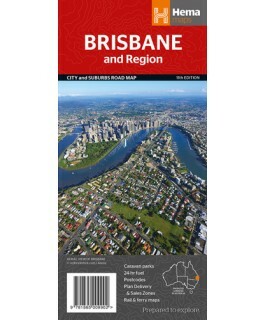 Enlarged sections Track notes Elevations Land marks Contact details Relevant touring symbols Edition: 3 ..
A road map of Brisbane and its surrounding and suburbs and regions Easy to use CBD map Points of interest Fully indexed Edtion: 11..
A City-to-City map that covers from Brisbane to Cairns at a scale of 1:1,500,000. 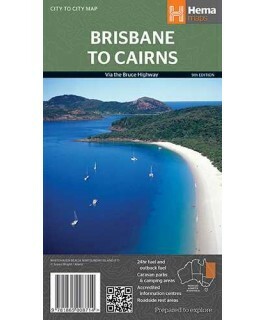 24hr fuel and outback fuel Caravan parks & camping areas Accredited information centres Roadside rest areas Edition: 9 Scale: 20000..
A city and suburbs road map of Cairns that features additional information and maps for guiding visitors to the city and its surrounding regions. 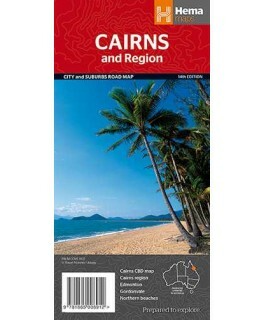 Cairns CBD map Cairns region Edmonton Gordonvale Northern beaches..
Camps 10 Spiral Bound (A4) Camps 10 is the definitive guide to low-cost camping across Australia, featuring verified free camps, caravan parks, national and state parks, community campsites, showgrounds, station stays and much more. 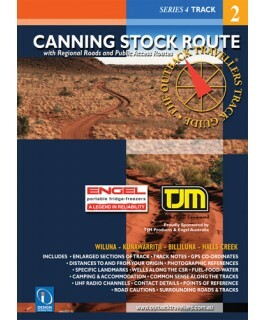 4,950 free..
Mapping of the Canning Stock Route is broken into stripmaps that are designed for traversing the tracks in the area. 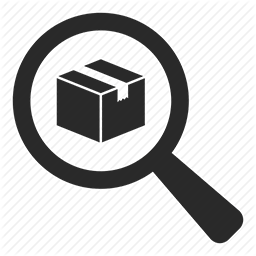 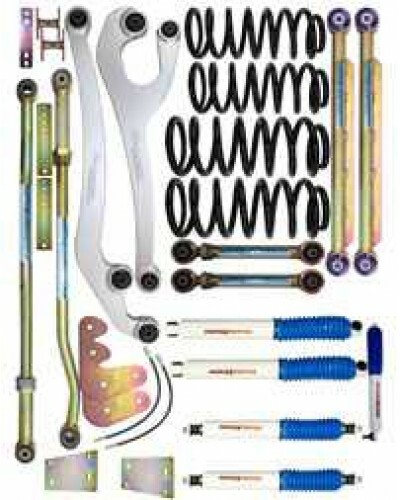 Enlarged sections Track notes Elevations Land marks Contact details Relevant touring symbols Edition: .. 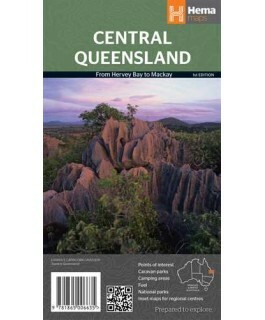 The new edition Cape York Atlas & Guide features an expanded 15 4WD trips with detailed inset maps to accompany atlas mapping of Cape York and the Tip. 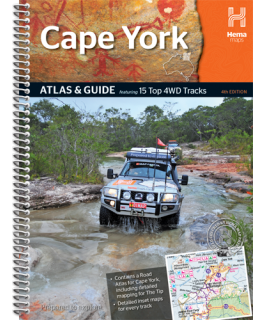 The 4WD trips were written and revised by Carlisle Rogers, editor and publisher of 4WD Touring Aus..
Mapping of Cape York is broken into stripmaps that are designed for traversing the tracks in the area. 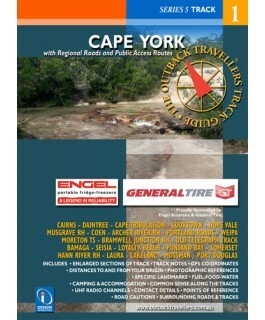 Enlarged sections Track notes Elevations Land marks Contact details Relevant touring symbols Cape York is just a magic loc..
A waterproof regional map of Cape York that features detailed mapping of the tip and insightful tourist information for trip planning. 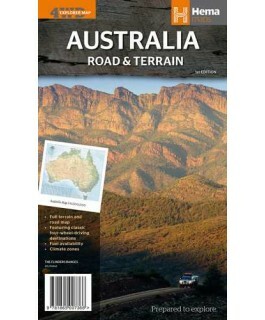 Detailed 4WD tracks Camping areas GPS surveyed road and tracks GPS positions and grid Edition:..
As the most comprehensive caravan and tourist park publication in Australia, Caravan Parks Australia Wide is a must have travelling companion.Whether you are a caravanner, motor homer or a traveller looking for cabin-style accommodation, this guidebo..
A regional map of central Australia. 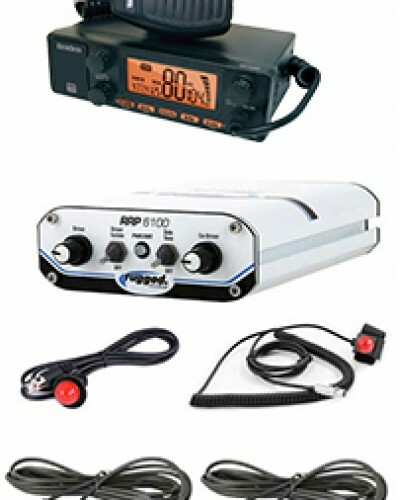 GPS surveyed roads & treks GPS positions Fuel supplies National areas What to see & do Important contacts..
A regional map of central Queensland. 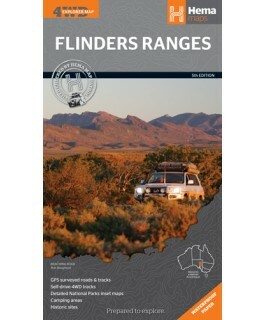 Town maps Tourist information National Parks The National Trail Distance charts Edition: 1 Scale: 1000000 Opened Size 950 x 560mm ..
A waterproof map of the Flinders Ranges that is ideal for 4WD touring within the region. 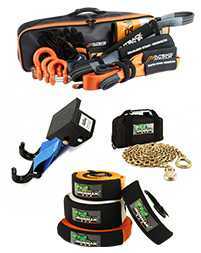 GPS surveyed roads & tracks Self-drive 4WD tracks Detailed National Park inset maps Camping Areas Historic sites Edition: 5 Scale:&nb..
Fraser Island is one of the most diverse 4WD destinations in Australia, with beaches, rainforests, perched lakes, sand blows and more fitting into the world’s largest sand island. 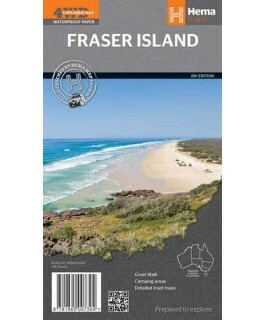 In addition to a map of Fraser Island at a scale of 1:130,000, are ..
A map that has the Gold Coast & Hinterland (1:100,000) on one side and the Gold Coast Suburban (1:50,000), Central Gold Coast (1:15,000), and Coolangatta to Tweed Heads maps on the other. 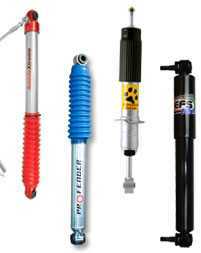 The map functions as both a visitors guide as well as a fa.. 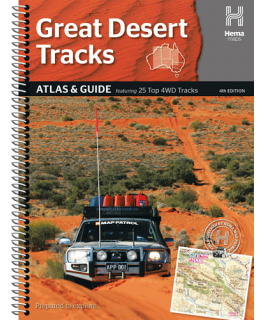 Explore Australia’s arid centre with the Great Desert Tracks Atlas & Guide. 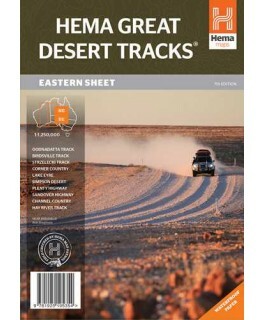 Written by some of the most experienced and reputable four-wheel drive enthusiasts in Australia, it is the most comprehensive guide for traversing Australia's desert reg..
Hema’s Great Desert Tracks maps are essential for anyone travelling in the Australian Outback. 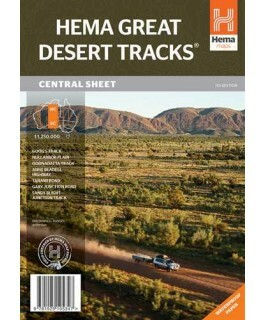 ​The mapping features roads and 4WD tracks field-checked by the Hema Map Patrol, points of interest for remote area travellers and touring information for..
Hema’s Great Desert Tracks maps are essential for anyone travelling in the Australian Outback. 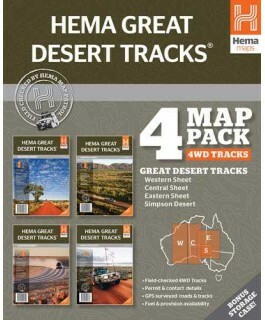 The mapping features roads and 4WD tracks field-checked by the Hema Map Patrol, points of interest for remote area travellers and touring information for ..
A soft durable map wallet that contains Hema's iconic suite of Great Desert Tracks maps. 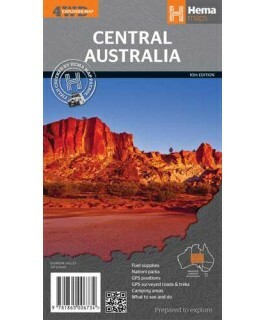 Maps fit snugly into the durable map wallet GDT Western Sheet GDT Central Sheet GDT Eastern Sheet GDT Simpson Desert Maps printed on waterproof a..